I have always had a great apprehension of “organised events” while on holiday, disliking intensely the underlying pressure to join in or else risk looking like a party pooper or even worse, finding myself in a position of having to make small talk for most of the evening with someone I have nothing in common with ….precious holidays are just too short for that and we vowed when we bought Les Crouquets that we wouldn’t make every Tuesday a pizza night or coerce guests into mingling as soon as they arrive when after a long journey all they probably want to do is unpack & then jump into the pool ( or possibly the other way round!). Just my personal opinion though as I’m sure there are lots of people who like this and lots of holiday accommodation owners who find it works well. Here we prefer everything to gently unfurl and for people to gradually get to know each other at their own pace. 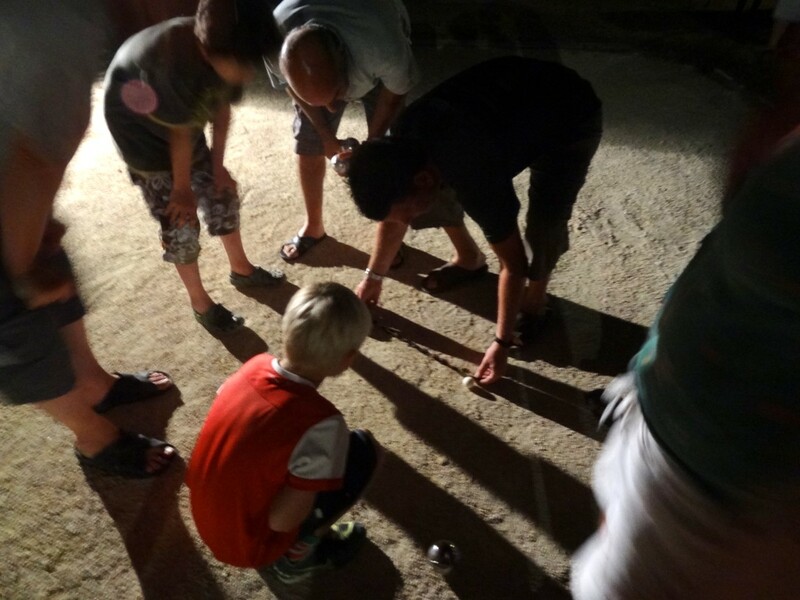 Invariably guests end up at each other’s cottages & the children often congregate in the games room, forging their own friendships over the snooker table / table football / dressing up basket or out in the grounds during animated games of 40-40 , sardines or mixed football tournaments. 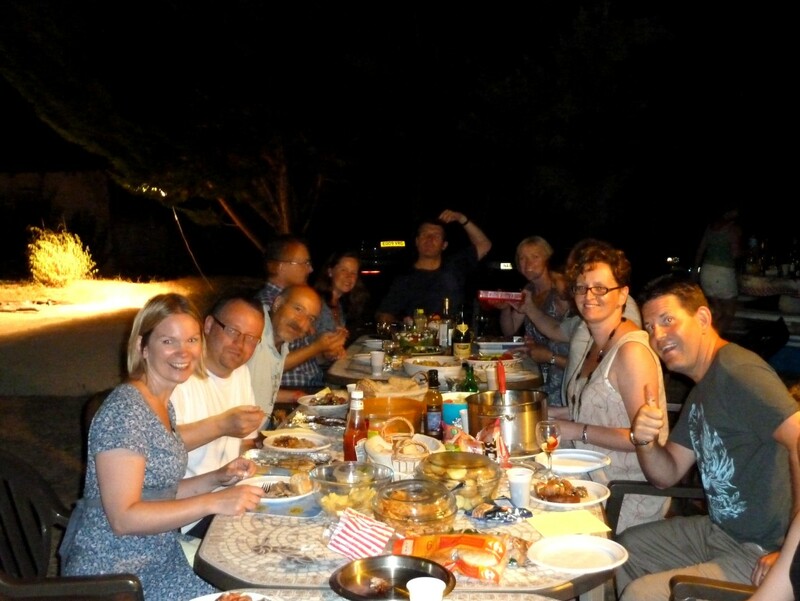 Sometimes when everyone is getting on particularly well all 7 gites get together for a big BBQ by the pool. We’ve had quite a few over the last few Summers, some suggested by us and many organised by the guests themselves! We had one this week which was great fun – 5 out the 7 gites were families who had been here before ( some on their 4th & 5th visit!) so it felt very much like a big group of friends which was lovely! 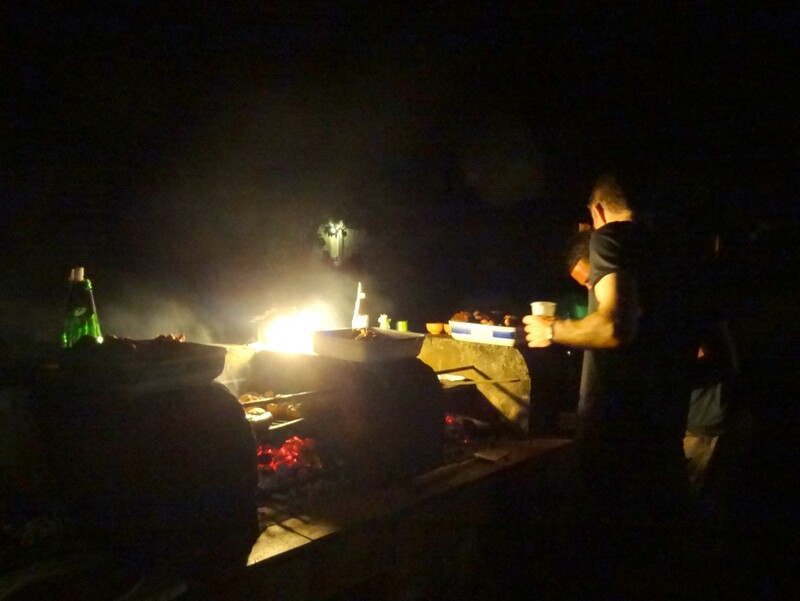 Because of the current heatwave hitting France the BBQ kicked off quite a bit later than usual as no-one relished the prospect of cooking in 37°C heat… cooking by candlelight added a whole new dimension to the soirée! 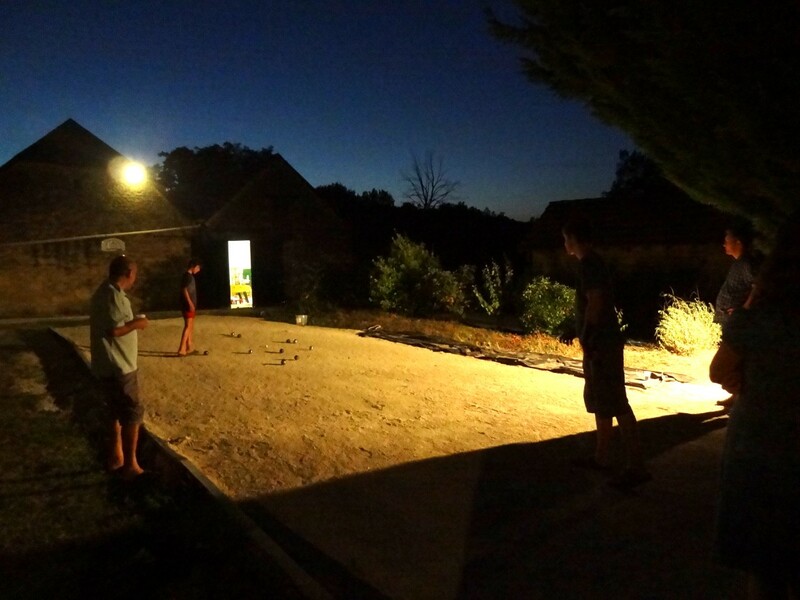 While the sausages were sizzling a boules tournament got underway with some serious competitiveness rising to the fore!! We were pleasantly surprised at the level of skill, even from those who insisted they’d never played before!! Some serious measuring to determine the winner! The meal & games were accompanied by some animated chatting and stunning background music by Tom Wyllie. 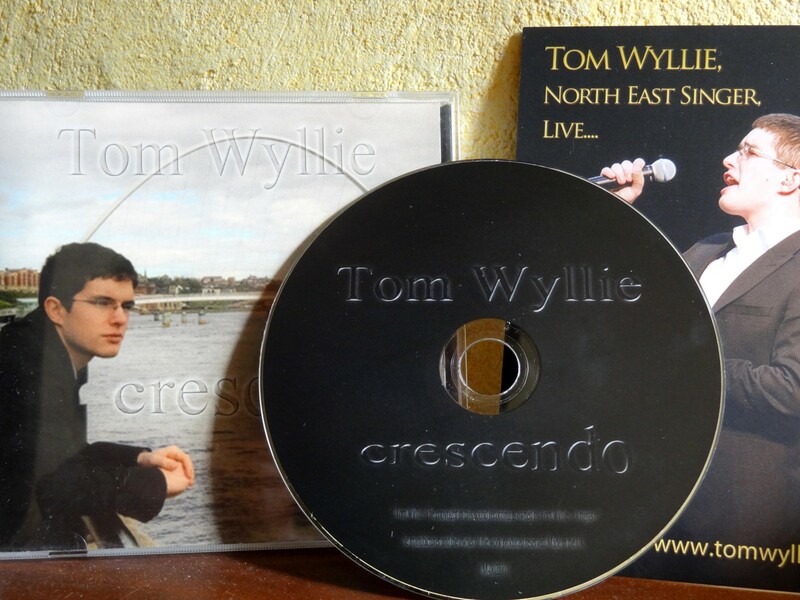 Last year we were lucky enough to have Tom singing here in person – this year due to other commitments we had to make do with his new CD, Crescendo, which has to be said was almost as good as the real thing!! 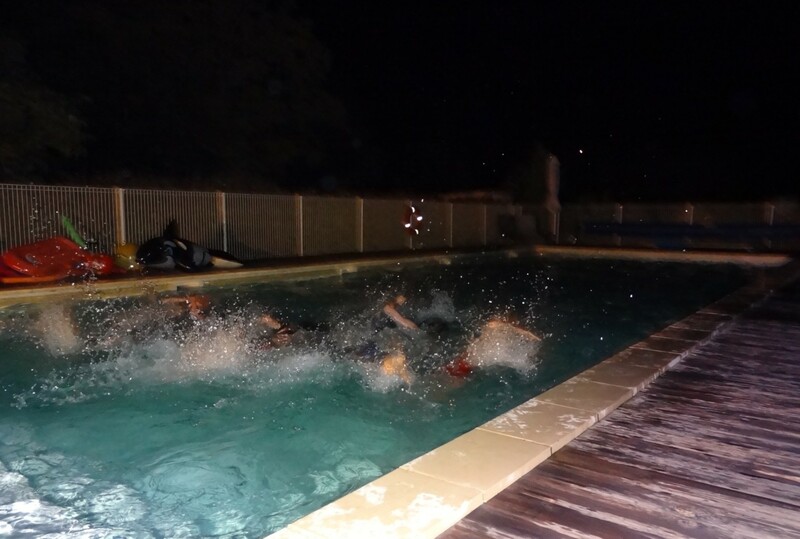 The evening ran on well into the night with a few of the older children rounding it off with a refreshing midnight swim…. Great fun and some happy memories to see us through the Winter…! !